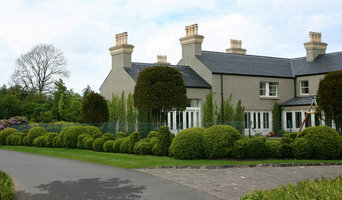 Emma Rayner Landscape Architecture studio is based in Bangor, Northern Ireland. She creates high quality, contemporary landscapes and garden designs. Johnny Knox Garden Design is an Award Winning Garden Design Practice. Since formation in 2008, we have developed a strong reputation for creative, unique, and practical garden design solutions. Our primary passion and focus is getting the right style of garden design to compliment the landscape context. And when relevant create the tension point between the architectural stance of a building and its surroundings. Our fresh unique style has proved popular with discerning clients across a broad range of landscape settings and styles. ‘Park Hood respond to our diverse Client requirements, delivering designs which are innovative and dynamic, through a process of observation, creative interpretation and attention to detail’ We are dedicated to designing extraordinary landscapes that leave a legacy for future generations, creating such places for our clients, for society and for the well-being of our environment. We pride ourselves on our productive collaborations with a wide range of Architectural and Planning Consultants and associated construction professionals to deliver excellence within both the natural and built environments. We believe good Landscape Design offers economic viability and value to every project and helps to nurture and enhance the project longevity. Garden Design and Build practice based in Northern Ireland but covering anywhere in Ireland or the UK, indeed anywhere we can be challenged! Our services range from Award winning Design Plans to full Project Management. We have a particular passion and expertise in the supply of beautiful semi mature trees and plants. With over thirty years of experience and still learning! we can help your dream become a reality! "where inspiration comes to life..."
Ian Price Design is a dedicated to creating an individual, dynamic and beautiful garden design that works for you and your needs. Whether your outdoor space is large or small you can have the confidence that we will design the right garden for you. We are passionate about designing not simply gardens of the moment but gardens that will last. Be it a modern, designer contemporary outdoor room or a more traditional relaxing retreat, a place for the children to play outside, or perhaps a garden to attract wildlife, we will work with you to make your garden a reality. An award winning garden design practice based just outside Belfast in County Antrim, we have been commissioned to design and build gardens throughout Northern Ireland and beyond. For any further information please do not hesitate to contact Ian Price Design. ArtiGrass Landscaping prides itself in bringing to Belfast artificial grass at realistic prices. Our new partnership with RealTurf brings an even higher quality of artificial grass to Ireland with the latest in memory bounce back technology, meaning that sand-infilled artificial grass is now a thing of the past. Based in Belfast, Northern Ireland and travelling province wide, ArtiGrass Landscaping tackles all jobs no matter how big or small and once you've decided to put your garden design project into our hands, you'll wonder how you ever managed without us. ArtiGrass Landscaping offers the full range of bespoke garden designs to encompass artificial grass, driveways, paving, patios, fencing, decking, and building projects to name but a few. ArtiGrass Landscaping through every project stage works with you so we never lose sight of your individual wishes and requirements. We have had many years experience working throughout Belfast and Northern Ireland, laying paving, patios and driveways, and installing artificial grass and can advise on styles and designs to enhance the look of any outdoor space. Whiteside Contracts is a family run business established in 2006 by Jonathan Whiteside based in Lurgan, and operating in Lisburn, Moira, Comber, Belfast and Bangor and Throughout Northern Ireland. As a qualified construction engineer, Jonathan has extensive experience in managing new build housing projects both in Northern Ireland and throughout the UK. He enjoys finishing houses to a high standard, not just inside but transforming the outside as well. He firmly believes that to create a lasting first impression and make a house stand apart, putting some thought and effort into landscaping is money well spent. Not only will good landscaping add value to a home but it can also provide unique outdoor spaces for living. Essentially, that is the ethos of Whiteside Building and Landscaping - to create ‘homes and gardens that suit your lifestyle’. We offer full building and landscaping services to the private and commercial customer from consultation to completion. The image galleries show the type of work that we do. As a local business we pride ourselves on working closely with our clients to ensure they are completely satisfied. Most of our work to date has been based on recommendations and we think that this speaks volumes! A landscape architect will handle all design, supply, construction and administrative elements of your garden or landscaping project. They will take into account your needs, the Belfast, Antrim climate and unique advantages and constraints of the landscape architecture. Typically, work will be based on ecological and environmental considerations, and a garden will be planned not only to look its best but also to facilitate future maintenance and growth so that it continues to flourish. 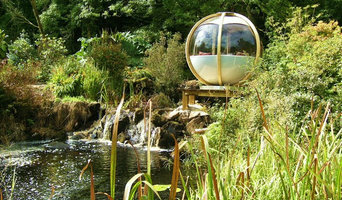 A Belfast, Antrim landscape architect can also design any outdoor buildings that are to be featured in your garden. Everything from design blueprints through to the plants themselves should be provided by your Belfast, Antrim landscape architect. If there is other architectural development taking place on your site, bring the landscape architect in as early as possible. The expertise a landscape architect can apply to understanding your space and the natural environment could be vital to planning your project. Let your Belfast, Antrim landscape architect work closely with your architect, surveyor and any other contractors in order to develop landscape architecture that works in accordance with any other construction. This is important from a design perspective as well as on a practical level – changes to the grading of a landscape and modifications such as drainage can have serious implications on the viability of your land for extensive building and structural works. In order to resolve any planning permission issues, submit all applications for building and landscape architecture together, well ahead of the project. The scope of garden designers, or landscape gardeners, is often more limited to green space projects which will optimise your existing outdoor space rather than altering the landscape architecture as a whole. 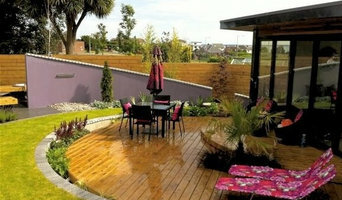 Whereas landscape architects specialise in the structural aspect of garden planning and building, garden designers in Belfast, Antrim will carry out projects that are of aesthetic and horticultural value. Landscape gardeners will make your garden the best version of itself with features such as walkways, patios, water features, fences and lighting, as well as choosing the right plants, trees and flowers. The practical role of a garden designer may vary by firm – some offer just the plans, requiring a separate contractor, while others fulfil the project in its entirety, from conceptualisation of the landscape gardening to construction. 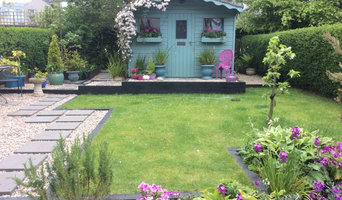 Don’t be put off by the former if you happen to find a good Belfast, Antrim garden designer that you like – he or she will have local industry connections to introduce you to quality, reliable gardening professionals with whom they have existing relationships. Here are some related professionals and vendors to complement the work of landscape architects & garden designers: Landscape Contractors, Garden & Landscape Supplies, Tree Services, Lawn & Sprinklers, Decks, Patios, Sheds & Summerhouses. 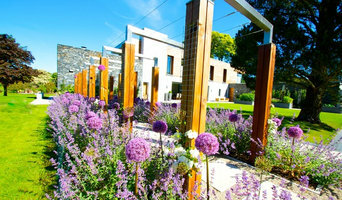 How do I choose landscape architects or garden designers in Belfast, Antrim? When choosing your Belfast, Antrim garden designer or landscape architect, be sure to research their qualifications and look at examples of their previous work. A portfolio of previous landscape architecture or garden projects is important to ascertain both their credentials as well as their style. Once you have shortlisted or chosen your architect or designer, an on-site meeting is essential so they can see exactly what they’ll be working with. Stay briefed on all plans and developments, both before and during the project as a plan you approved previously may change during the course of the project. Be very clear on your budget – just like plans, costs may alter while work is underway so ensure your professional keeps you informed and does not incur additional expense without approval. If you are open-minded and budget-conscious, consider approaching new graduates keen for experience, who may negotiate a lower rate than more experienced professionals. How long have you been landscape architects or garden designers in Belfast, Antrim? Find a landscape architect or garden designer on Houzz. Narrow your search in the Professionals section of the website to Belfast, Antrim landscape gardeners. You can also look through Belfast, Antrim photos to find a garden you like, then contact the garden designers in Belfast, Antrim who worked on it.